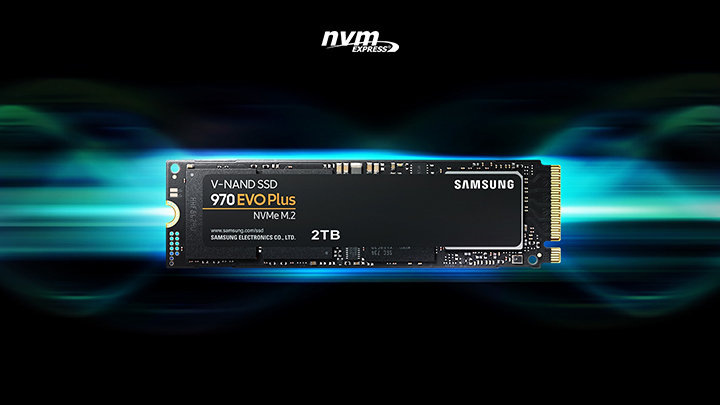 Expanding its Solid State Drive (SSD) portfolio in India, Samsung on Wednesday introduced “Samsung 970 EVO Plus” — its latest non-volatile memory express (NVMe) with up to 2TB space with the aim to enable IT, tech and gaming industry to easily handle intensive workload on PCs. Powered by Samsung’s fifth-generation Vertical (V)-NAND technology, “970 EVO Plus” will fuel superior performance in tasks like 4K content editing, 3D modelling and simulation as well as heavy gaming, the company said in a statement. The storage device will be available from February in 250GB, 500GB and 1TB capacities for Rs 6,479, Rs 9,359 and Rs 17,999 respectively whereas the 2TB variant of the device would be made available in April for Rs 35,999. “This upgraded version of our SSD offering promises faster performance, exceptional endurance, unparalleled reliability as well as increased power efficiency,” said Sukesh Jain, Senior Vice President, IT and Mobile Enterprise Business, Samsung India. The storage device comes with the capability to deliver sequential read and write speeds of up to 3,500mbps and up to 3,300mbps, respectively with random speeds going at up to 620,000 IOPS for read and up to 560,000 IOPS for write operations. The “970 EVO Plus” fits up to 2TB onto the compact M.2 (2280) form factor, greatly expanding storage capacity and saving space for other components, the company added. The South-Korean giant claimed that “970 EVO Plus” comes with several performance improvements as well as increased power efficiency over its predecessor, “970 EVO”.